Got done with nursing school weeks ago, and am currently prepping up for boards. Just thinking of it sends my stomach twisting to knots, so I turn to a lot of things to amuse myself. 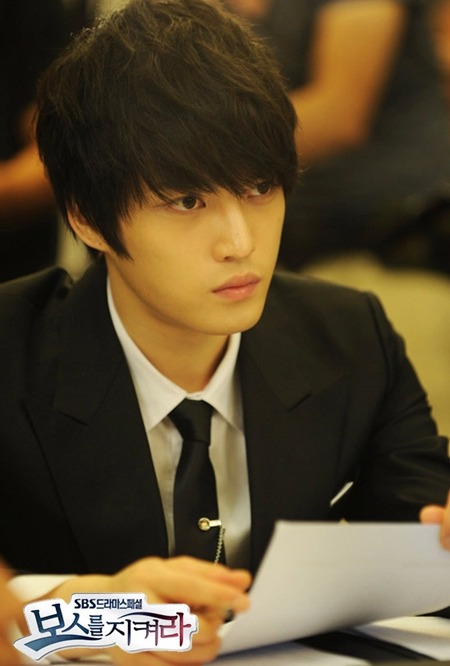 Protect the Boss — I started watching this purely to bask in Jaejoong’s gorgeousness, and I was determined to see this through for his sake. But seeing how gut-busting hilarious it turned out to be (episode 4 was the best), with the compelling plot, dynamic chemistry between the cast, superb directing, and great acting, this is turning out to be a wonderful watch. I love the cast. I love the OTP. I love Jaejoong. I even love Jisung’s hair. Am I the only one who does? I love this poster just because of the lulz! factor. Nobuta wo Produce — This is seriously my second most favorite drama of all time, next to Sungkyunkwan Scandal (which I really need to blog about). I will forever remember the day when I randomly clicked on this drama while searching Mysoju.com for something to watch, and then totally falling in love with the group of misfits who defines friendship and making friends in its purest form. Yes, I love it so much that it makes me slightly poetic. Nobuta, Shuji and Akira (especially Akira, that adorable weirdo) will live in my heart forever. That ending is just perfect that I bawled my eyes out. This is my kind of drama. This is one drama that I’m never going to forget. Quirky, loveable characters and solid plotline, but that’s not all. Cliched high school background, but differently executed and utilized. It’s one about friendship, capturing youth, forgetting about ephemeral things like popularity and building solid relationships around you, changing who you are, growing up into maturity, leaving childhood. Lies and sincerity. Shedding short-lived images. All that is good and bad in high school. Here, a random fanvid to entice you into watching. Watch. This. Series. Now. Kon-kon. 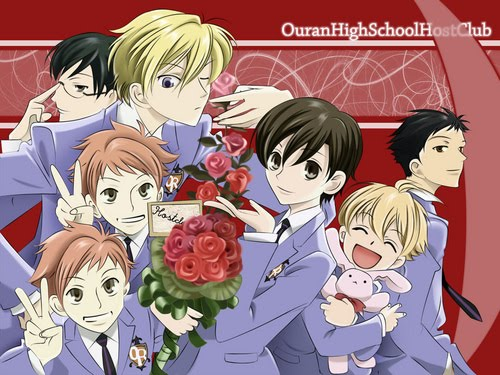 Ouran High School Host Club (live action) — I was a bit iffy about watching this because of Ouran’s pseudo-fantasy genre (what with all the impossibly pretty boys present here), but I was so pleasantly surprised. Yamamoto Yusuke (the actor playing Tamaki) doesn’t look like Tamaki at all, but he NAILED Tamaki’s character so well that you get absorbed into his world as you do in the anime. Kawaguhi Haruna makes a very believable Haruhi. I could continue on prattling about the cast and how well they do their designated characters, but that would be wasting my breath because you just have to watch to see for yourself. Of course, I recommend that you watch the anime-version first, but the live action is good enough, I think. 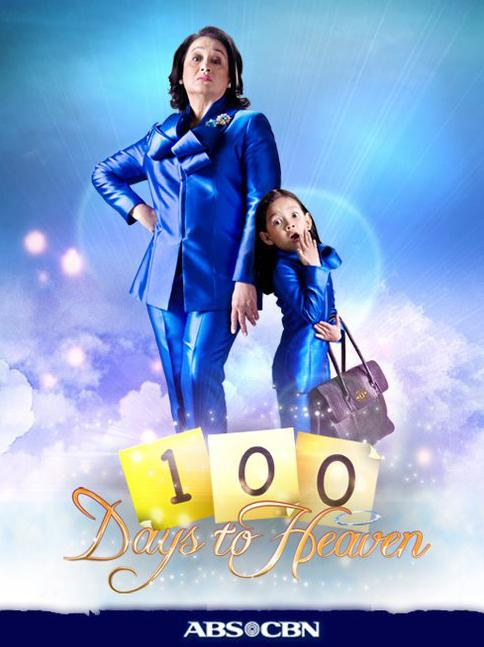 100 Days to Heaven — I firmly believe that this drama should be packed into a delightful package and shipped to everywhere else in Asia. 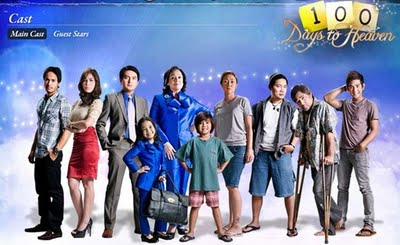 This is an example of a premier Filipino drama that showcases Filipino culture, beliefs and values into a solid, engaging plot, and performed excellently by both veteran actors/actress and child actor/actresses. It’s about a ruthless, successful businesswoman, Anna Manalastas, who dies at the beginning of the series. She was given the chance to correct her mistakes and receive the forgiveness of those she had wronged on earth in order to be able to enter heaven. But in one condition: that she do everything as a child, and that she do it within exactly one hundred days. Coney Reyes and little Xyriel Manabat perform Anna Manalastas with unbelievable life and attitude. This little gem of a drama should be treasured. Yeah. Four drama series. Hopefully, this list doesn’t grow even longer, or I’ll have to forsake sleeping in favor of watching. Categories: Life	| Enter your password to view comments. Nothing earth-shattering, of course. Just some self-introspection that’s been long overdue. Don’t you? Who doesn’t? Remember those early teenage years, in grade school when you and your friends use to huddle in a corner to answer a couple or three “autograph notebooks” that go around the class? And then you’re in your last years of high school and you look back and you can’t believe how silly and vain the whole thing was? Well, I found a questionnaire on one of my old notebooks from the Philippines (and seeing the answers I’ve written 3-4 years ago made me lament on how lame I was at 15. ), and thought “Hm, why not?” and started answering. You know something is very wrong with what you’re doing when you are too ashamed to face yourself in the mirror. And then you’ll think to yourself that you need to change, that you need help, but you’d be too ashamed of yourself to ask for help, so you will be left to rot in the constant cycle of doing what you’ve been doing and regretting what you did. And you’d be miserable because you can’t help yourself and have nobody to help you, and soon you’d give in completely to the monster inside of you, and you would be devoured. You would forget your ideals, your morals, everything you stood up for and against, and you will drown. Goodbye Dong Bang Shin Ki. I want to remain optimistic, I really do. I want to believe your words. I want to believe that someday you’ll be together again. Not three, not two, but five. Together, laughing, singing, dancing. But I have to be realistic. I have to wake up from this dream world. I’ve remained optimistic for the past year, but not a single ray of hope shone through. It hurts to admit, but I think it was all wishful thinking on my part. I appreciate your efforts on making us hope to the end. But I think you’re just deceiving me. Or deceiving yourself. You can’t be together again. You’ll always remain three and two. Broken in half. Breaking my heart. Breaking your heart. I have to be truthful to myself. I have very little hope of you coming back. I’m going to hold on to that tiny tiny hope, but I know better than to expect. Hoping against hope has never really been my forte. I always thought we’ll grow old together, you know. I never thought I’d be saying goodbye. You keep your silence and you keep making us hope, but I know it’s over. I’m not angry. Just very disappointed. I was hoping to be with you for a very long time, you see. You were my dearest friends when I was at my lowest. Two years isn’t enough. I wish I could have been with you longer. Maybe it’s better this way. Even though it hurts, maybe it’s better this way in the long run. You’ll never be Dong Bang Shin Ki again. It’s been good while it lasted. Now it’s time to say goodbye. But I’ll forever be your Cassiopeia. I’ll be watching you even if I can barely bear to look at you broken. I’ll be supporting you, even though you’re apart. Dong Bang Shin Ki is made of five people. Dong Bang Shin Ki will never be whole. There are five people who were once Dong Bang Shin Ki. Those five people will always be in my heart. Dong Bang Shin Ki is a good memory. Five people, one heart, laughing, singing, dancing, crying, cheering. It’s time to face reality. Five people, five hearts, chasing their dreams. I hope we heal. Someday, we’ll all heal. And maybe I’d get to see you together again. For now, I’d content myself with that thought. For now, I’d resign myself to that very distant possibility. I’m currently in one of those dreaded angsty moods when I feel like my pain is totally unique and unheard of and nobody understands what I’m going through and why me, world? why me?! Categories: Friends, Life	| Enter your password to view comments.